To stay competitive in an industry that’s being disrupted by changing consumer behaviors, new technologies, and new markets, data is more important than ever. Before the Internet, your average car buyer got their information from a friend, an ad, or the sales rep at their local dealership. Now, consumers are walking into dealerships so sure of what they’ve read on Facebook and seen on YouTube that some of them consider opting out of a test drive altogether. People are information-hungry, and car companies need to be, too. “The first thing to do is understand your existing customers and their vehicles,” says Tim Hayden of Brain+Trust Partners. Maximizing customer retention is an important goal for automakers, especially in the short term as they start to get a grip on important changes taking place in the industry. GM’s purchase of the Maven car sharing service and Ford’s investment in Argo AI suggest that the automotive industry will be a lot more data-oriented going forward. With more automotive mobile apps and computers in cars comes more data—on how consumers drive, when they drive, for how long, etc.—that can be collected and analyzed for competitive advantage. An enterprise customer data platform (CDP) can keep track of massive amounts of information in one centralized location. Unifying customer data makes targeting customers and increasing conversion rates significantly more effective. For example, Subaru used the Treasure Data CDP to unify its customer data and saw a 400% boost in a new ad campaign performance. One particular campaign resulted in a 15% order rate increase and a net $26 million in sales. How Will Automakers Take Advantage of New Technologies? With these new technologies come new questions for consumers as well as auto manufacturers and dealers. If 3D printing becomes cheaper and more readily available, for instance, will a consumer be able to print a new part at home? Who will sell them the instructions? What about consumers who’d rather go to a dealership for service? Computers are known to speed up our lives, but they can also grind things to a halt when they require a reboot. Though we’ve already computerized our cars, how far can we push the technology? It’s yet to be seen if drivers will eventually need to call a help desk instead of seeing a mechanic. Automotive innovator Pioneer has taken a step forward by using the Treasure Data enterprise CDP to inform new services for automobile manufacturers and related businesses, based on data collected from actual vehicles. Connected cars will dramatically change the way fleets are managed and could even help insurance carriers offer targeted plans to specific drivers. How Will Automakers Respond to New Consumer Behaviors? Millennials are starting to become the dominant group of car buyers, and automakers need to take notice. 56% of Millennials would rather clean house than negotiate with a car dealer, and 54% wish they could sell or buy a car from home. Dealership dissatisfaction, combined with creative thinking, is driving a plethora of alternative vehicle purchasing models, from Carvana’s eight-story car vending machines in select cities to short-term rental and fractional car ownership services. How Will Automakers Capitalize on Emerging Markets? By 2020, today’s developing countries will generate almost two-thirds of all the data in the world. People in these countries will come with their own preferences for how to buy and drive cars. Because many emerging markets are digital-first, it’s possible that consumers in those markets will prefer car-sharing services over direct purchases from a dealer. It’s important to understand the trends and preferences in each locality in order to gain competitive advantage. Make the Most of All These Changes with the Right Customer Data Platform. Car companies need a robust enterprise CDP to make decisions in the evolving marketplace. With the right CDP, automakers can better understand every customer journey and identify specific consumers who are most likely to make specific types of purchases. This can lead to better targeting across channels, better sales support, and increased revenue. 44% report that a CDP is helping drive loyalty and ROI. 40% say that they expect CDPs to deliver a significant shift in their ability to meet disruptive and competitive challenges within the next two years. 49% of leaders expect to see a major shift toward competitive advantage in the same short window. CDPs create a single view of prospects and customers in an easily accessible system, and can offer predictive analytics for actionable next steps with specific customers. Not all CDPs are created equal, however, so download our new white paper, Harnessing Automotive Data Analytics, and learn what capabilities you need to gain competitive advantage in the evolving automotive industry. 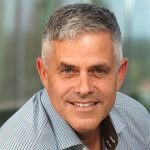 Rob serves as Head of Marketing, Data Business at Arm. Previously, he was VP of audience marketing at SAP where he led a global team of marketers chartered with driving modern marketing demand generation programs. He brings nearly 20 years of marketing experience ranging from lean startups to large enterprises, including running product marketing for Symantec, eBay and PayPal, where he held various marketing leadership roles globally.